This time last year we were fighting bush fires. This year it’s all different. There are no fires here now. It’s turned out to be a very wet start to the summer. It’s hot, but also wet. 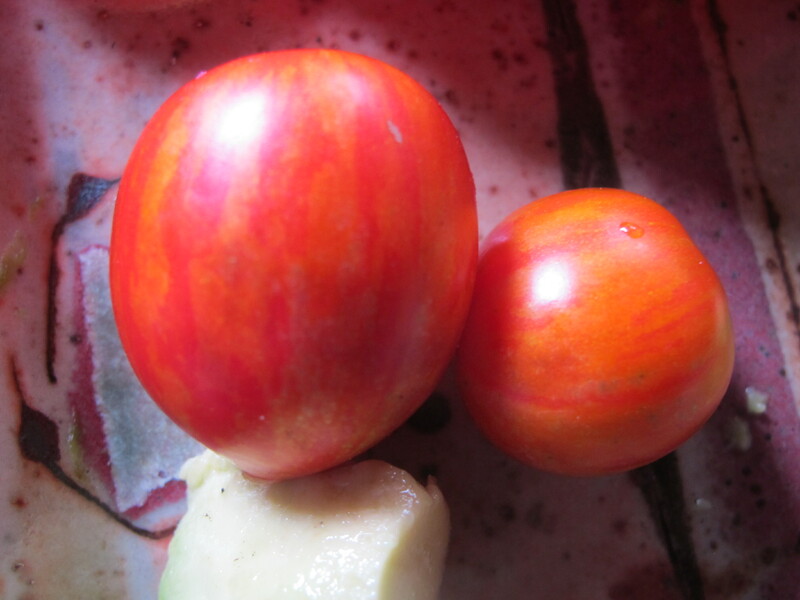 On the 3rd of December we picked our first ripe tomato of the season. That is so very early. We have never been able to do that before. We usually get our first tomatoes in January. If we are lucky and very industrious, we might get a very early plant to give as it’s first fruit in the week between Xmas and New Year. But this year it’s all different. Annabelle Sloujetté planted 3 advanced seedling tomatoes for us in the vegetable garden while she was house sitting, sometime while we were away in September or October. Apparently there were no sudden cold snaps or even very cold nights from that time on. 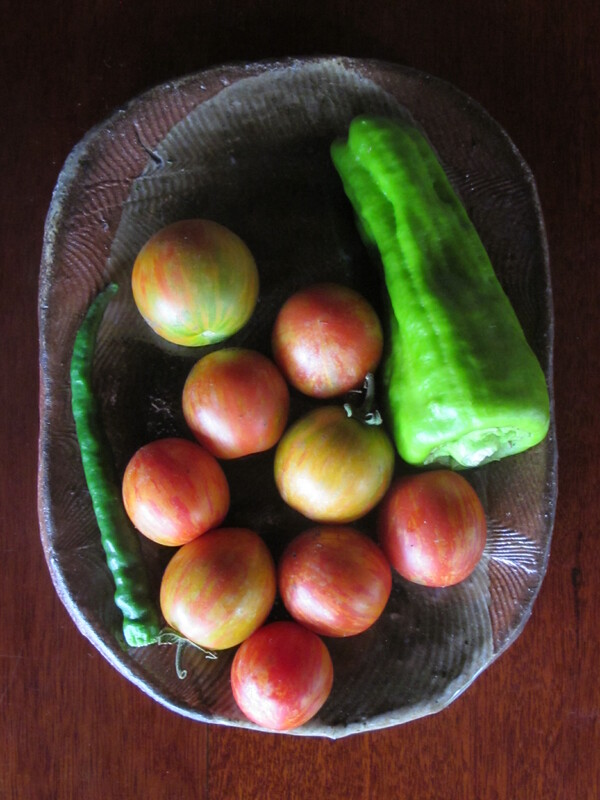 So here we are in the first week of summer and eating our own red ripe tomatoes. It’s a miracle! Or is it just a sign of things to come? A Portent? Tomatoes don’t ripen in the sunshine. They respond to the day length and average temperature. Certainly, If they get too much sun, they get sunburnt and develop bleached white leathery scars. Not nice. To help prevent this, we have developed a system of growing our tomatoes here, where we don’t stake them up, but just allow them to sprawl across the ground. The fruit hangs down and is shaded by it’s own foliage above. It’s a lot less work, the shady foliage discourages weed growth and retains soil moisture. 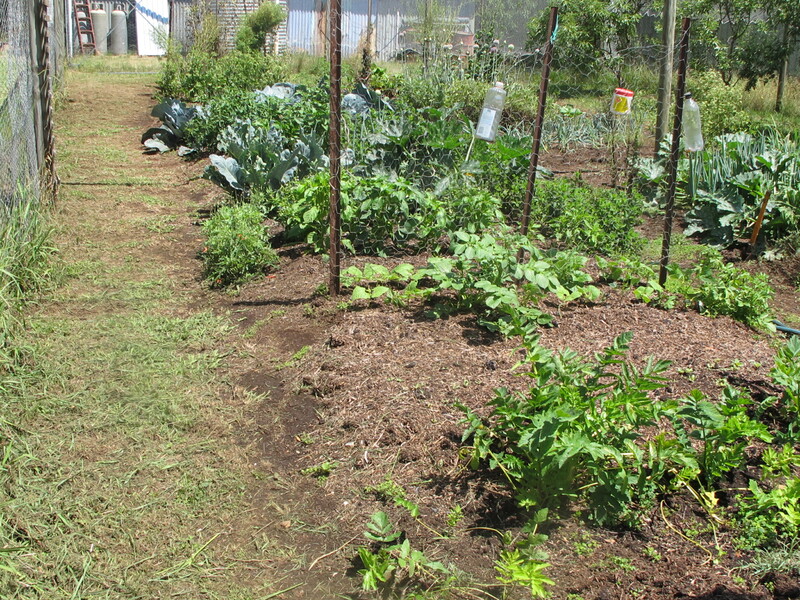 We mulch the plants well and as long as the fruit doesn’t get attacked by slugs and snails, the system works quite well. Less work, less weeding, less watering, less bleaching. 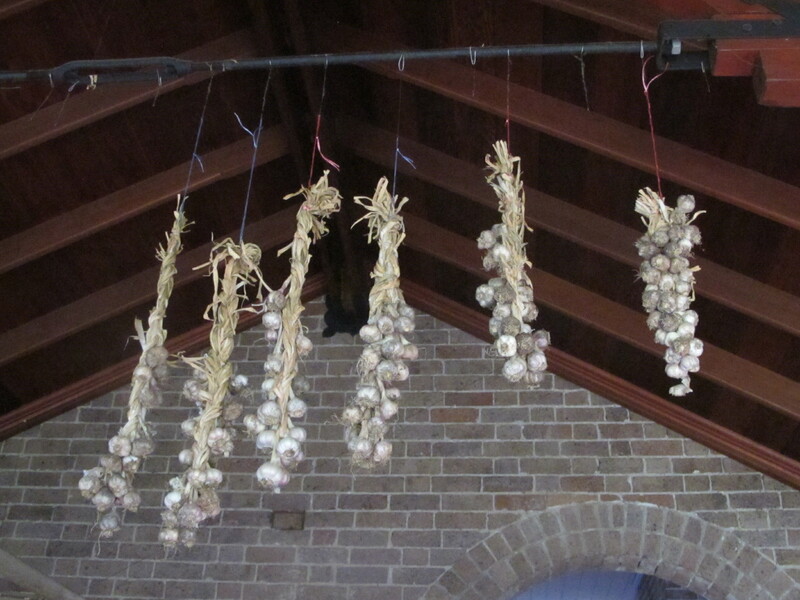 We have lifted the garlic crop it was very poor this year. As there was virtually no rain for the whole time that we were away, the bulbs didn’t get a chance to swell up in their final months of growing. We have plenty of plants. They all survived, but the bulb size is very small. The smallest that I’ve seen in all the years that we’ve been here. It’s flavoursome and intense, just tiny. Is this a portent of a hot, dry future? I lift them all and lay them out on the north facing verandah to dry in the sunshine for a week, then Miss industry herself, cleans and plaits them into bunches. I bring in the big 3 metre step-ladder and Miss Plait passes them up to me as I hang them up from the kitchen roof truss to dry further, ready for use as we need them. 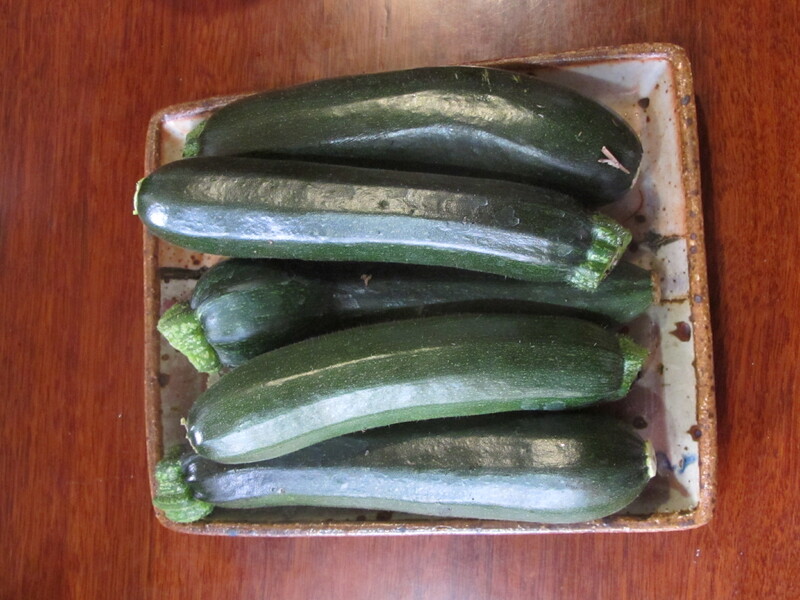 They are so small this year that Miss Plait gets about 20 to 30 knobs in a plait, instead of the usual dozen. 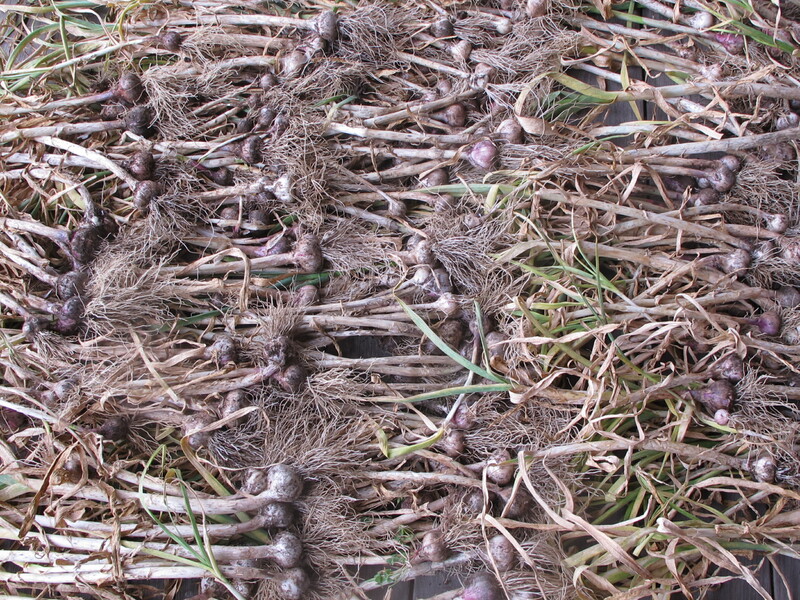 The smallest of the crop isn’t worth plaiting and hanging. It all goes into a basket on the kitchen work bench. They are so small that I don’t bother to try to peel them. I just bash the knob with the side of a large chef’s knife to separate the cloves and them place half a dozen of the tiny segments into the garlic press and mash them out of their papery skins straight into whatever dish I’m preparing. It’s a lot less effort than peeling them and works just as well. In fact, I read somewhere that garlic releases more of it’s flavour if it is crushed like this instead of just being cut and sliced. The rain has now come in this first week of summer. We have 30oC days and then a big thunderstorm in the afternoon. We get 10 to 20 mm. most afternoons. Over the week, the system settles in to a rhythm of days in the high 20’s with rain and scattered showers throughout the day or overnight, with occasional heavy storms and hail. Fortunately, we have missed out on the really bad hail here, but up the road a bit, it was piled up to a foot thick and remained there for a day or two afterwards in frozen beds of ice in the shady places. 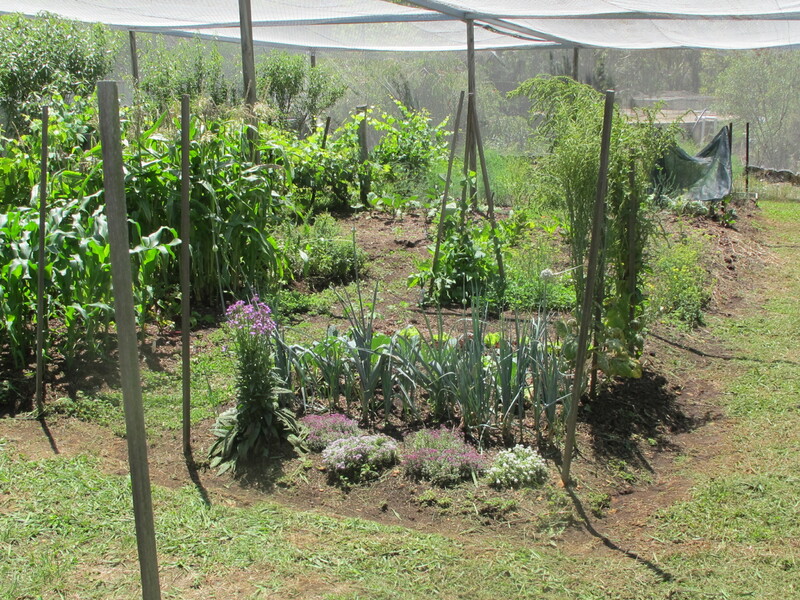 Since we have netted our garden, the netting has helped dissipate some of the damage that we used to get from the hail. All this water is very welcome in the beginning of summer. It’s better than bush fires and everything is growing well in the combination of warm weather and lots of water. We haven’t had to water the garden for a couple of weeks now. Doesn’t the weather know that it’s supposed to be summer? It’s a miracle! Or is it a portent? We have a full dam and green grass in the lawn, instead of the burnt off crisps of brown and dry, parched, dusty gravel. If this is the new ’normal’ then I’m happy about that. 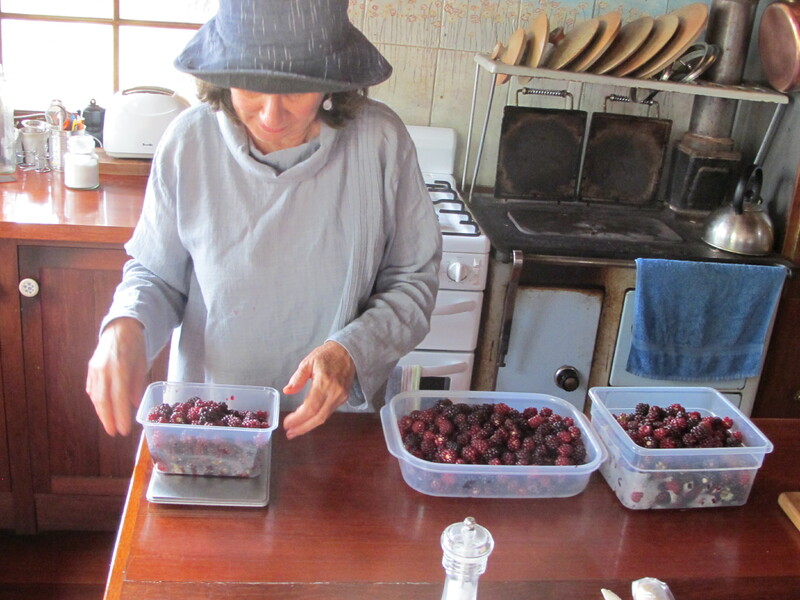 We have been continuously picking the youngberries every alternate day, all this time and Miss Plait has been bottling and preserving them each day. We are up to 20 jars now in the larder. It’s been a very good crop. Their season is almost over now, with only a couple of small pickings remaining on the canes. 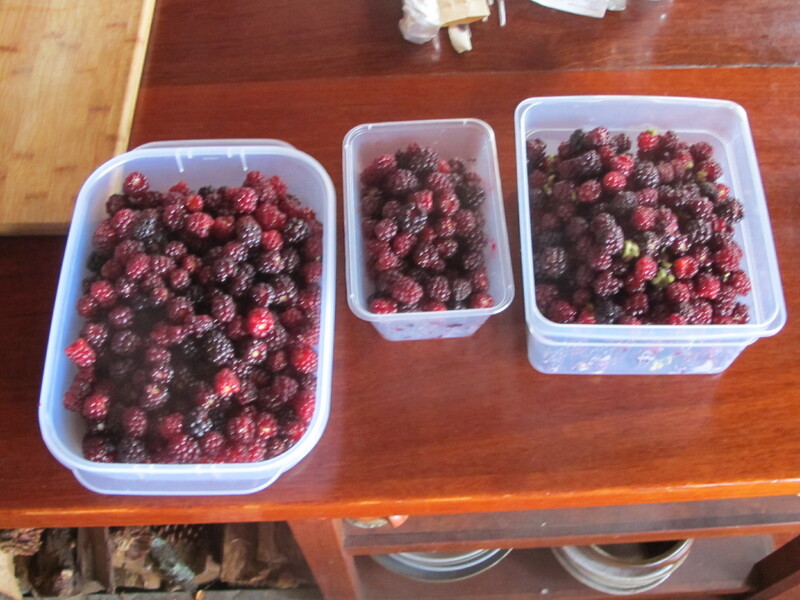 We have been getting 2 to 3 kilos each pick. 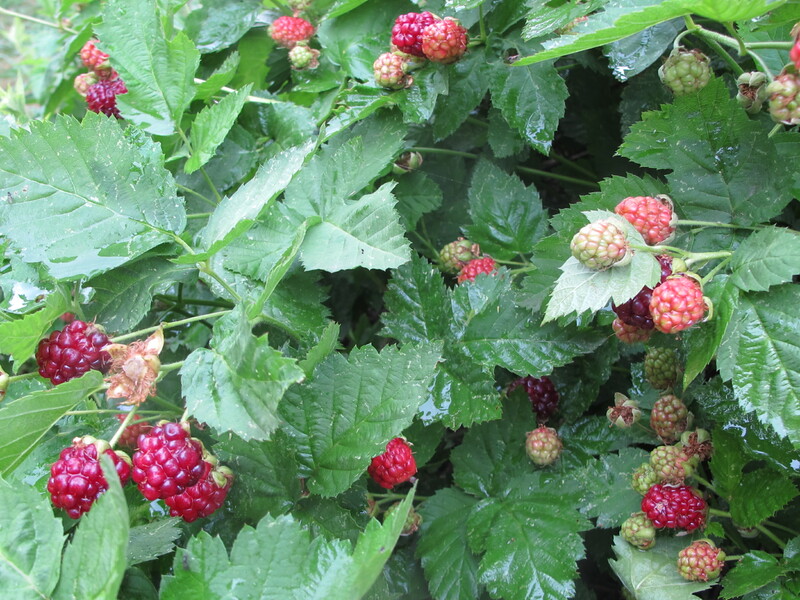 Surprisingly, there is very little rot in the fruit, even though we have been getting all this rain. Young berries seem to be another one of those fruits that seem to ripen due to-day length and average temperature, without direct sunshine. The best fruit is to be found deep in and under the dense foliage on the shady side of the canes. 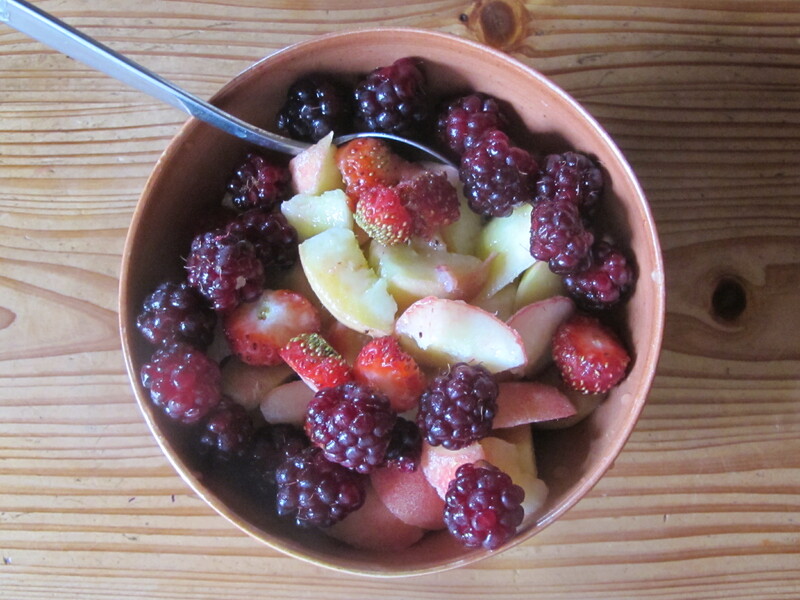 The early peaches are all picked and we have finished eating the last of the fresh fruit from those early trees. 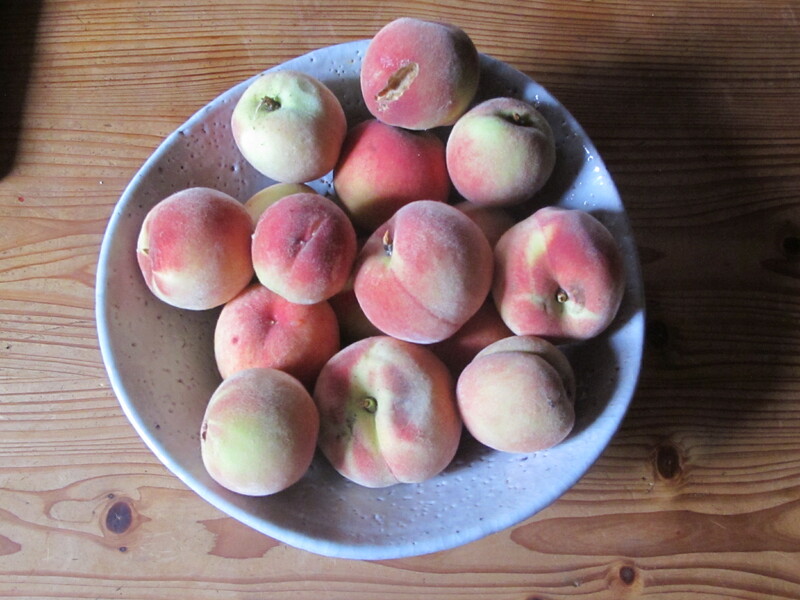 The freezer is full of punnets of stewed peaches, which we will start to eat soon, as we wait for the late peaches to come on. 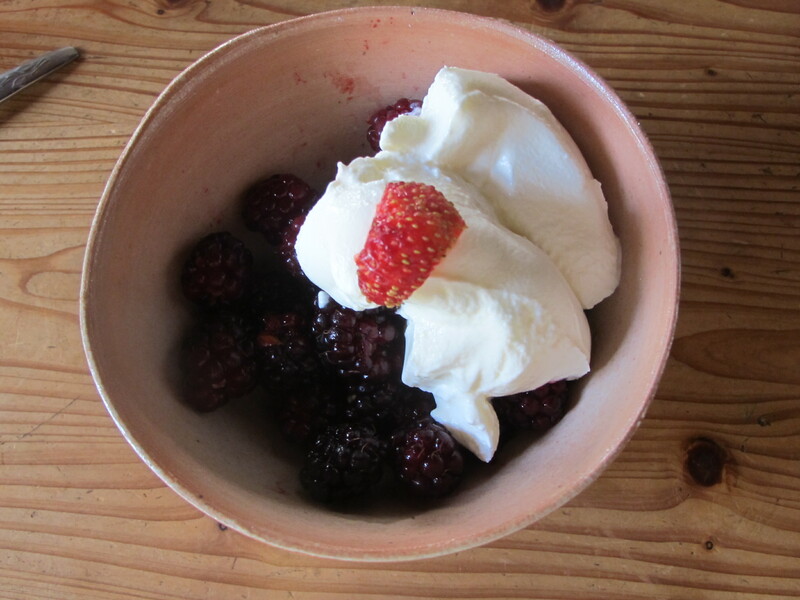 Each morning we breakfast on berries, peaches and strawberries with yoghurt. 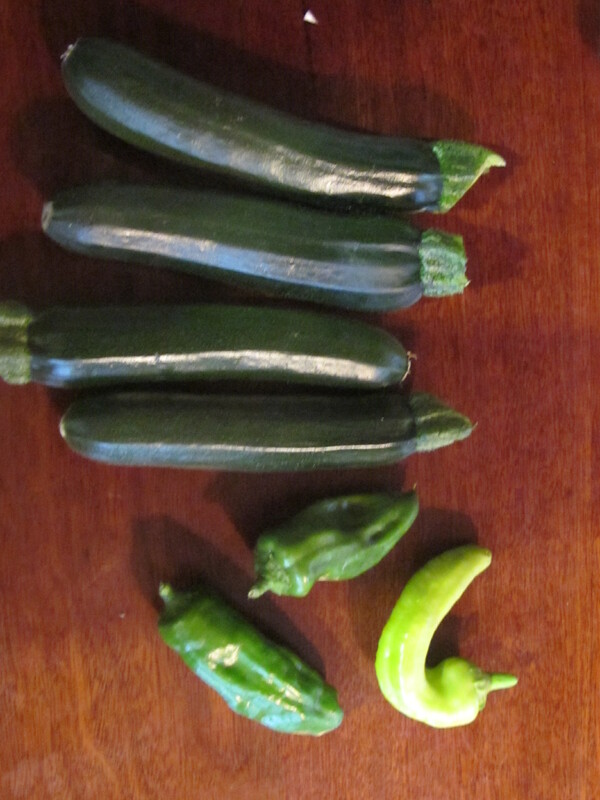 We also started to pick our first zucchini, capsicum and chills in the same week. It’s a sign! These were all early plantings done as a gift by Annabelle Sloujetté in our absence. It’s a gift! A lovely gift. And one that is very gratefully and thankfully received. I have been busy in the garden too, along with Miss Plait. I think that I’ll have to start calling her Sylvia, because she’s poetry in motion. Or maybe Ariel. That’s a sign! I planted corn seeds the day before I left, at the end of August and they are flowering now. 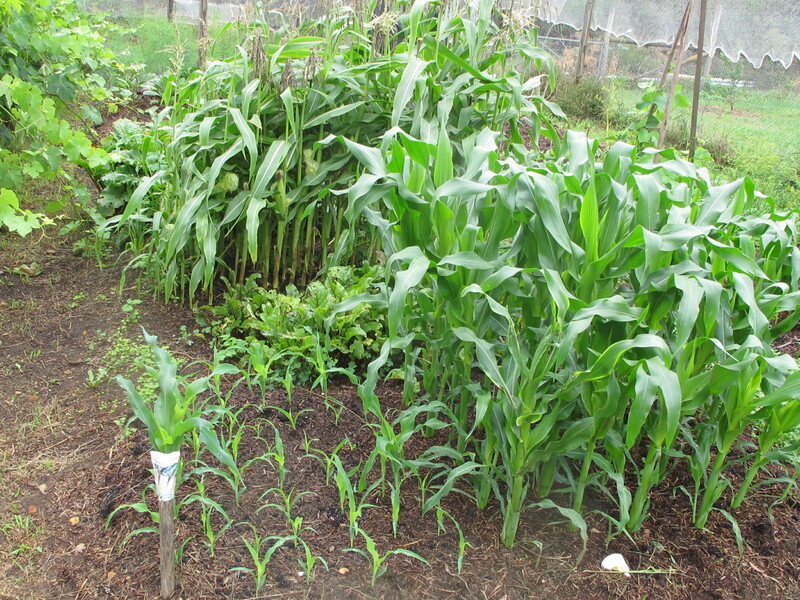 The first thing that I did in the garden when I returned was to buy some sweet corn seedlings in a punnet at the markets so that there would be some continuity. I also planted out some more seeds at the same time. These will take some time to germinate and guarantee a continuity of sweet corn over the summer. We pull out all the old tired left overs from the winter garden. I shred them along with all the other stuff for the compost, by laying it all out on the grass and driving over it with the mower. The shredded mulch is so much more compact and rots down quicker. It also shreds the snails hiding it’s midst. While we are at it, and the rain is holding off. It’s a bright sunny patch in amongst all the rain. We rejoice in the sunshine and spend the rest of the day, weeding, pruning and mulching. I stake up some of the winter plants that have gone very leggy as they go to seed. So I stake them up to keep them tidy and out-of-the-way so that I can make room to plant other things in the row. I plant out a lot of seeds for later in the summer; lettuce, carrots, beetroot, rocket, radish, mesclun, mizuna, dwarf French & climbing beans, plus Lebanese cucumbers. 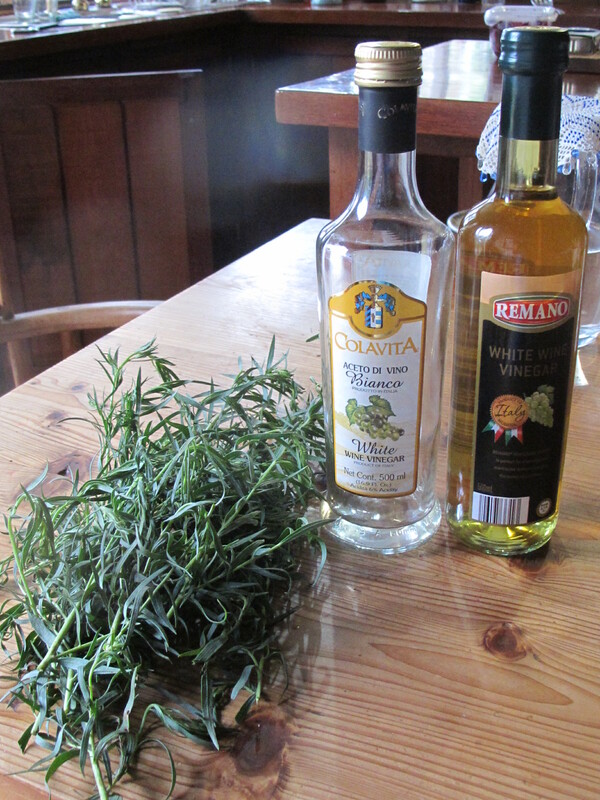 Finally, we cut back a lot of the leggy herbs and Miss Sylvia Plait crops the Russian Tarragon. 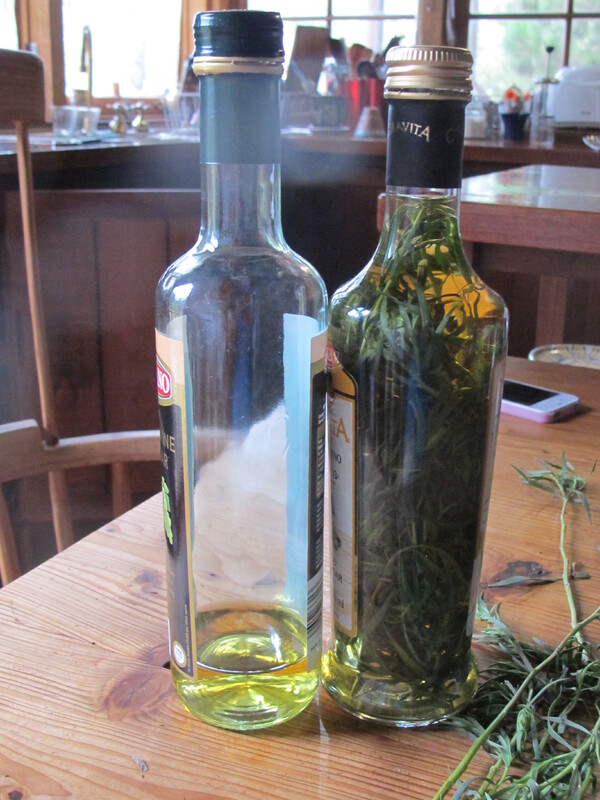 As the rain returns we head to the house and I trim the tarragon leaves and fill a white wine vinegar bottle with them, to steep for later use. At the end of a long day we head for bed and dream of wonders, portents and signs.